3.3 Die vereinbarten Preise verstehen sich einschließlich der zum Zeitpunkt des Vertragsschlusses geltenden Steuern und lokalen Abgaben. Nicht enthalten sind lokale Abgaben, die nach dem jeweiligen Kommunalrecht vom Gast selbst geschuldet sind, wie zum Beispiel Kurtaxe oder Bettensteuer. Bei Änderung der gesetzlichen Umsatzsteuer oder der Neueinführung, Änderung oder Abschaffung lokaler Abgaben auf den Leistungsgegenstand nach Vertragsschluss werden die Preise entsprechend angepasst. Bei Verträgen mit Verbrauchern gilt dieses nur, wenn der Zeitraum zwischen Vertragsabschluss und Ver-tragserfüllung vier Monate überschreitet. 7.1 Das Hotel haftet für von ihm zu vertretende Schäden aus der Verletzung des Lebens, des Körpers oder der Gesundheit. Weiterhin haftet es für sonstige Schäden, die auf einer vorsätzlichen oder grob fahrlässigen Pflichtverletzung des Hotels beziehungsweise auf einer vorsätzlichen oder fahrlässigen Verletzung von vertragstypischen Pflichten des Hotels beruhen. Einer Pflichtverletzung des Hotels steht die eines gesetzlichen Vertreters oder Erfüllungsgehilfen gleich. Weitergehende Schadensersatzansprüche sind, soweit in dieser Ziffer 7 nicht anderweitig geregelt, aus-geschlossen. Sollten Störungen oder Mängel an den Leistungen des Hotels auftreten, wird das Hotel bei Kenntnis oder auf unverzügliche Rüge des Kunden bemüht sein, für Abhilfe zu sorgen. Der Kunde ist verpflichtet, das ihm Zumutbare beizutragen, um die Störung zu beheben und einen möglichen Schaden gering zu halten. Nachrichten, Post und Warensendungen für die Gäste werden mit Sorgfalt behandelt. Das Hotel übernimmt, nur nach vorheriger Ankündigung des Gastes die Zustellung, Aufbewahrung und – auf Wunsch – gegen Entgelt die Nachsendung derselben. 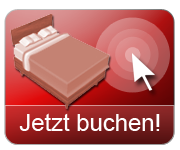 Das Hotel haftet hierbei nur nach Maßgabe der vorstehenden Ziffer 7.1, Sätze 1 bis 4. 8.1 Änderungen und Ergänzungen des Vertrages, der Antragsannahme oder dieser Allgemeinen Geschäftsbedingungen sollen in Textform erfolgen. Einseitige Ände-rungen oder Ergänzungen durch den Kunden sind unwirksam. Die AGB als PDF zum download finden Sie hier. 2.2 Any claims against the hotel shall generally be timebarred one year after the commencement of the general statute of limitations period. This shall neither apply to damage claims nor to claims which are based on an intentional or grossly negligent breach of obligation by the hotel. 3.2 The customer is obligated to pay the agreed or applicable hotel prices for rooms provided and for other services accepted. This also applies to services ordered by the customer directly or via the hotel, which a third party provides and the hotel dis-burses. 3.3 The agreed prices include all taxes and local taxes in effect at the time of the conclusion of contract. This does not include locally levied taxes, which are owed by the guest himself according to the particular municipal law, such as city tax. 3.7 In justified cases, e.g. the customer’s default in payment or expansion of the scope of the contract, the hotel shall be entitled, also after the conclusion of the contract up to the commencement of the stay, to demand an advance payment or a security within the meaning of the abovementioned No. 3.6 or an increase of the advance payment or a security agreed in the contract up to the total agreed remuneration. 3.8 Furthermore, the hotel shall be entitled, at the commencement and during the customer’s stay, to demand a reasonable advance payment or security deposit within the meaning of the above-mentioned No. 3.6 for existing and future accounts receivable from the contract, insofar as such has not already been paid pursuant to the abovementioned No. 3.6 and/or No. 3.7. 4.3 If a contractual right of withdrawal was not agreed or has expired, a statutory right of withdrawal or cancellation is not given and the hotel does not give its consent to the cancellation of the contract the agreed hotel services shall be paid regardless of whether the customer avails himself of the contractual services. The hotel must credit the income from renting the rooms to other parties as well as for saved ex-penses. If the rooms are not rented otherwise, the hotel can demand the contractually agreed rate and assess a lump sum for the saved expenses of the hotel. In this case, the customer is obligated to pay at least 90% of the contractually agreed rate for lodging with or without breakfast as well as all-inclusive arrangements with contracted services, 70% for halfboard and 60% for fullboard arrangements. The cus-tomer is entitled to prove that the abovementioned claim has not accrued at all or has not amounted to the demanded sum. - there is a breach of the abovementioned No. 1.2. 6.3 Rooms must be vacated and made available to the hotel no later than 11:00 am on the agreed departure date. After that time, on the grounds of the delayed vacating of the room for use exceeding the contractual time, the hotel may charge 50% of the full accommodation rate (list price) for the additional use of the room until 6:00 p.m. (after 6:00 p.m.: 90%). Contractual claims of the customer shall not be established hereby. The customer is at liberty to prove that the hotel has no or a much lower claim for charges for use of the room. 7.1 The hotel is liable for harm inflicted on life, limb and physical health. Further it is liable for other damage caused with full intent or gross negligence or due to inten-tional or grossly negligent violation of obligations typical for the contract. A breach of obligation of the hotel is deemed to be the equivalent to a breach of a statutory representative or vicarious agent. All other claims for damages are excluded, if not determined differently in this No. 7. Should disruptions or defects in the performance of the hotel occur, the hotel shall act to remedy such upon knowledge thereof or upon objection by the customer made without undue delay. The customer shall be obliged to undertake actions reasonable for him to eliminate the disruption and to keep any possible damage to a minimum. Messages, mail, and merchandise deliveries for guests shall be handled with care. The hotel will deliver, hold, and, for a fee, forward such items (on request) upon prior notification of the guest. The hotel only assumes liability according to the preceding No. 7, sentences 1 to 4. 8.2 For commercial transactions the place of performance and payment as well as, in the event of litigation, including disputes for checks and bills of exchange, the exclusive court of jurisdiction is at Berlin (Germany). Insofar as a contracting party fulfills the requirements of section 38, para. 2 of the German Code of Civil Procedure (ZPO) and does not have a place of general jurisdiction within the country, the courts at Berlin (Germany) shall have exclusive jurisdiction. The GTC as PDF to download can be found here.